Whew! I feel like we're coming out of hibernation over here! A lot has transpired in our lives since the snow senior session in January and when I've done the work of processing it all, I'll let you know about that season of our lives. In the meantime, we've moved (!) 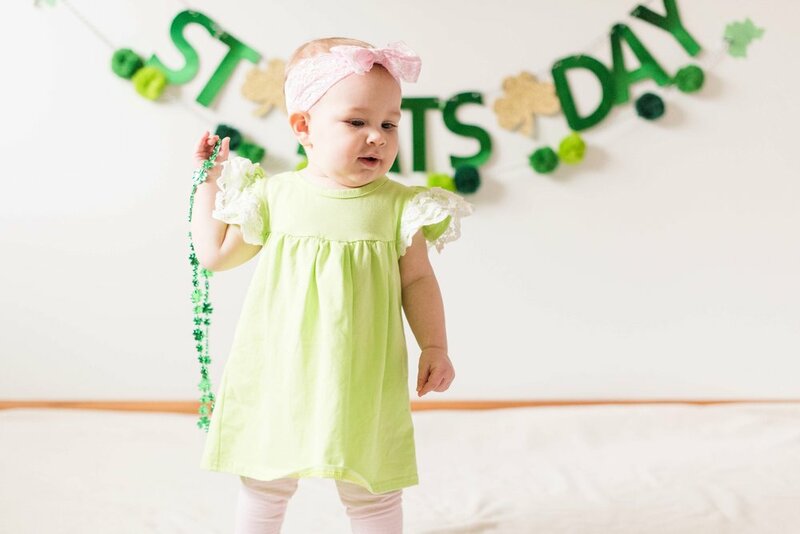 and our former neighbors' daughter, Lorelei, turned One on St. Patrick's Day. So, we did a smash the cake session, which, really, turned into a "taste test" session and dry run for her party the following day. :) I'm sure she lived it up and Katie got to use the adorable cake twice! We used the lofted space in our new home with fantastic window lighting since it was a cold and dreary day outside. Seeing our results got me so excited for the future of this space! 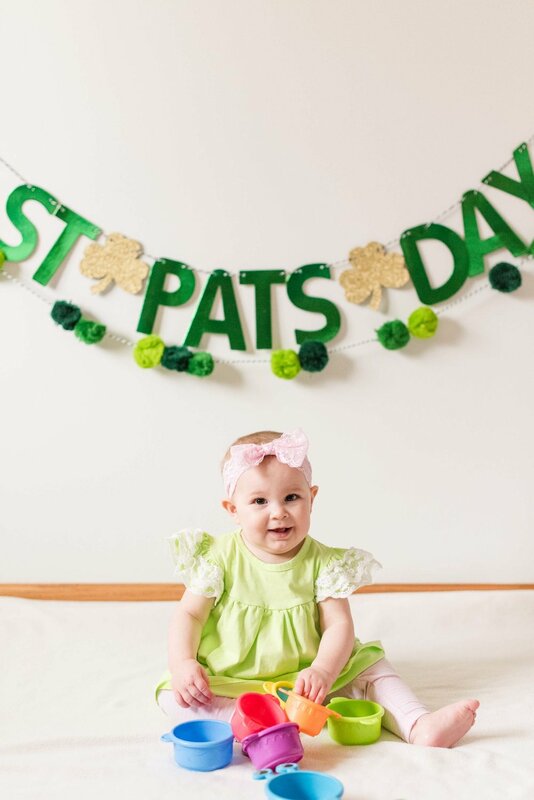 We changed up Lorelei's look for a few as we prepared her to dive into her cake! Let the Taste Test begin! Katie, Jeremy, Jericho and Lorelei: Thank you so much for entrusting this stage of Lo's life to me! She's darling and did so well-I hope she dug into her cake the next day! I look forward to watching your family grow even though we're not next door neighbors anymore. :( We'll see you on the soccer field with Jericho and Laidy--Go Team Blue!! PS You can view our entire session HERE.